Quickly putting out a small fire or suppressing flames until firefighters arrive can save lives and prevent the destruction of property. As a homeowner, you need to ask yourself, “is my home equipped with the proper fire extinguishers and am I capable of using one?” To answer these questions, you will need to be informed about the individual fire extinguisher classifications and the best actions to take to avoid injury while protecting your family and property, should you be faced with a fire emergency. Utah Flood Cleanup provides fire cleanup for homes and commercial property throughout the Beehive State. But we would rather you choose the right fire extinguisher for your home or business, than for us to get a call for fire cleanup and restoration from a devastating fire disaster. In the event of a small fire in your home, having the right fire extinguisher on hand is essential for the safety of you, your family, pets and your property. The National Fire Protection Association (NFPA) recommends having a fire plan in place, equipping each floor of your home with a fire extinguisher and teaching every adult member of your family how and when to properly use it. A for Ordinary Combustibles including paper, cloth and wood. This type of extinguisher is ideal for bedrooms or storage areas. Class A has a travel distance of 75 feet and is identified by a triangle containing the letter A. B for Flammable Liquids like cooking oil or gasoline. Every kitchen, garage and outdoor grilling area should have this type of extinguisher readily available. Class B has a travel distance of 50 feet and is identified by a square containing the letter B. C for Live Electricity involved in the use of energized electrical equipment. This extinguisher classification should be placed in workshops near electrical equipment. Class C has a travel distance based on the A or B hazard and is identified by a circle containing the letter C.
D for Combustible Metals is commercially used on metals that require an extinguishing medium that will not react with burning metal. Class D has a travel distance of 75 feel and is identified by a five-point star containing the letter D. Generally, not recommended for household use. K for Grease, Fats & Oils is commercially used by restaurants or other commercial cooking sites. Class K is simply identified with the letter K. Generally, not recommended for household use. 2 Pound Fire Extinguishers will usually come with mounting hardware for vehicles, campers or small work areas. 5 Pound Fire Extinguishers are easy to operate and are ideal for the kitchen, laundry room. 10 Pound Fire Extinguishers work well in larger areas like a living area, the garage or in a large workshop. 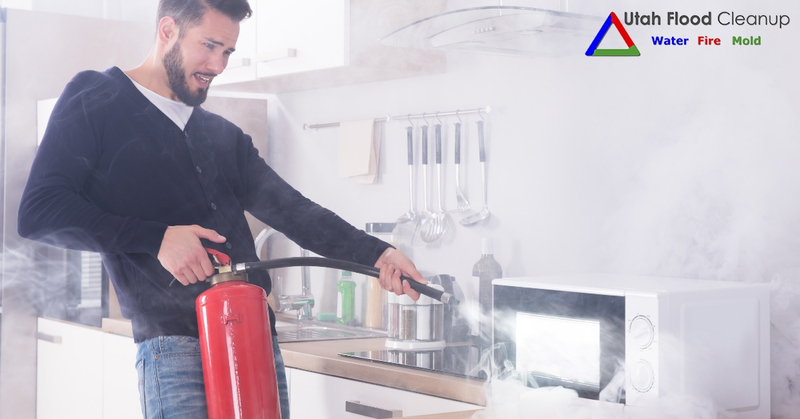 Kitchen – The kitchen is the most important place to keep a fire extinguisher. Statistically, 65% of all home fires are caused by extremely hot grease fires with high flashpoints. A class B extinguisher should be mounted about 30 feet away from the stove to avoid having to reach through flames to reach it. Bedrooms – For the safety of you and your family at night, consider purchasing a class A fire extinguisher for each bedroom or in a hallway if your home’s bedrooms are close together. In the event of a fire, you can create an escape path to evacuate the house with the extinguisher. Garage – The garage should have a class B fire extinguisher to efficiently put out a fire from flammable material like gasoline, oil, solvents, paint and other combustible material. Workshop – Keep a class A extinguisher in a workshop with tools that may generate sparks or class b if you work with paints and other combustible materials. Use a Class C extinguisher around large electrical equipment. Outdoor Grill or Firepit – A readily accessible class A fire extinguisher should be kept near outdoor grill areas and firepits to prevent the spread of flames that may get out of control. Fireplace, Wood Stove and Furnace – Obvious fire hazards like a fireplace, wood-burning stove and the furnace should have a class A or class C extinguisher close by, depending on the location. 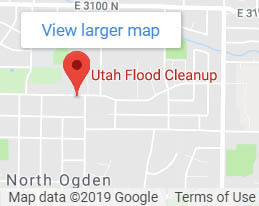 Utah Flood Cleanup understands that even with preventative measures, a devastating fire can destroy homes, properties and lives. For over 25 years, our expert technicians have been providing homeowners and business owners with professional cleanup and restoration services and strictly adhere to the IICRC S-500 and S-520 guidelines set forth in our industry. 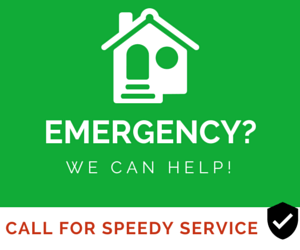 We are available for emergencies 24/7, Contact Us Today for your FREE inspection or give us a call at 801-876-5225 to find out about our 5-year guarantee and affordable financing options. 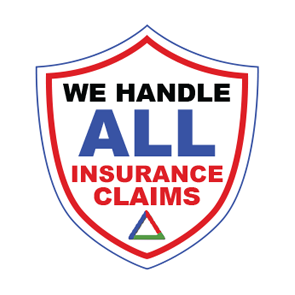 We accept insurance.